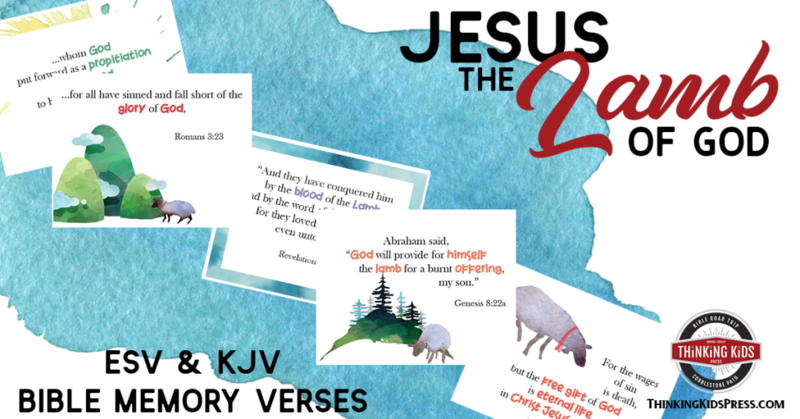 Teach your kids 24 "Jesus Is" statements with this fun printable banner. You'll find short daily devotions for your kids on the back of each printable flag. The banner can be used any time of the year, but it's perfect to use as an Easter banner. AND it's available in both ESV and KJV! Teach your kids about Jesus as the propitiation for our sins with this cute Bible memory verse card set!